Congress president Rahul Gandhi attacked PM Modi over the Centre’s GST policy and demonetisation, claiming it had led to higher unemployment rates. 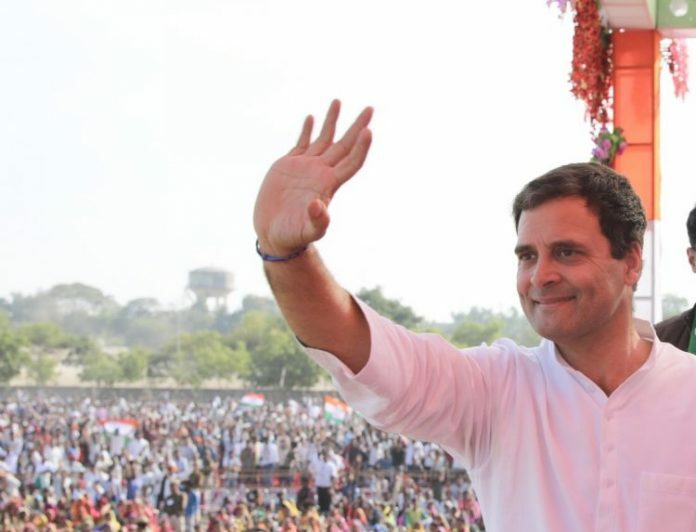 Jaipur: Congress president Rahul Gandhi Saturday held Prime Minister Narendra Modi’s policies responsible for unemployment in the country. Addressing a public meeting at Bhilwara in the Mewar region of poll-bound Rajasthan, he claimed that the decisions to implement demonetisation and the Goods and Services Tax (GST) had left lakhs of Indians unemployed. Referring to four youngsters committing suicide allegedly for being unemployed in Alwar district, Gandhi said it gave a message that Chief Minister Vasundhara Raje and Prime Minister Modi had failed to give employment to the youth. “Four youngsters committing suicide has given a message to Chief Minister Vasundhara Raje and Prime Minister Modi that they could not give employment. “Pradhan Mantriji, Vasundharaji, listen to the ‘mann ki baat’ of the youth. There is only question on their mind…give them employment,” he said. The Congress president alleged that on one hand, the government did not give jobs to the youth and on the other hand, it was responsible for the losses caused to them due to the implementation of the GST and demonetisation. “Modi destroyed the small traders and shopkeepers by implementing the GST and demonetisation. Lakhs of people lost their jobs due to Modi’s policy,” he said. Gandhi highlighted two major problems — employment for the youth and a better future for the farmers of the country and the state — saying both were challenges before the country. He said if voted to power in Rajasthan, the Congress would focus on these problems, besides the issue of farm loan waiver and free treatment for all. State Congress chief Sachin Pilot and former Rajasthan chief minister and senior party leader Ashok Gehlot were also present on the occasion. These issues will resonate in the general election as well.